Photographic lenses are made of several elements of very pure glass, each element being carefully coated to limit reflection. However, a portion of the light is lost in the optical system due to residual reflection and absorption. 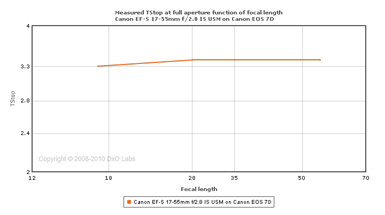 The transmission factor (the proportion of light that actually makes its way to the sensor) depends on the optical formula (the number of lenses, the glass and coating formulas) and to a lesser degree on the shooting parameters. 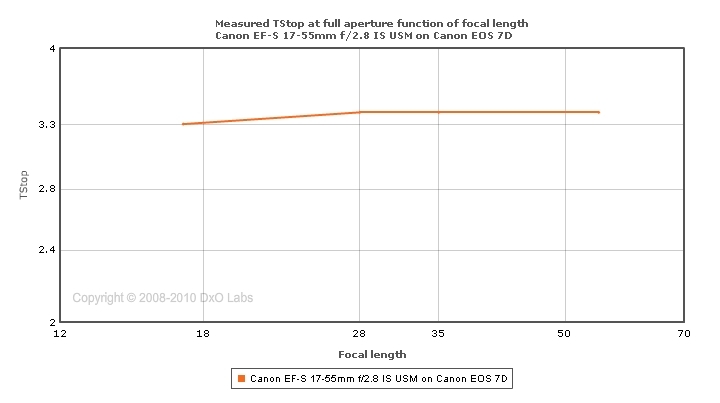 As a measure of transmission, DxOMark reports the T-stop, defined as the f-number of a lens with 100% perfect transmission, and resulting in the same illumination of the sensor at the image center as the lens to be measured. 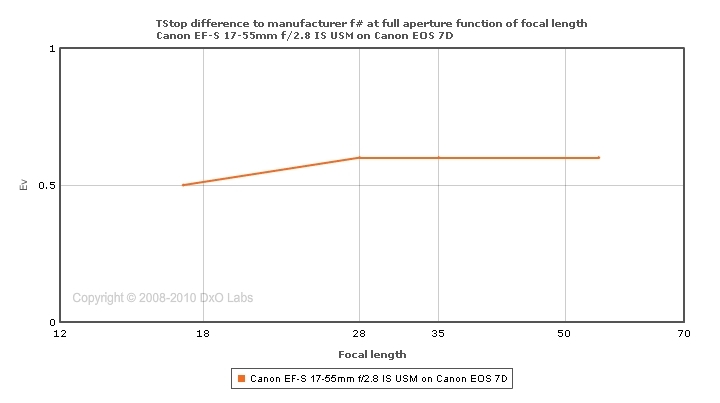 What does DxOMark report for transmission (T-stop)? 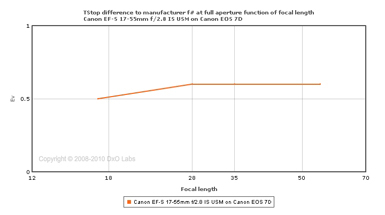 DxOMark displays T-stop at full aperture function of focal length, and transmission loss at full aperture function of focal length.